Chechnya is and will remain an integral part of Russia, Ramzan Kadyrov said as the parliament approved him as the republic’s head. ­Kadyrov said he was going to continue the republic’s course of reviving the economy and society. The foundations of this policy were initiated by the late, first Chechen president, Akhmat Kadyrov, he noted, referring to his father. The priorities are the well-being of people, consolidation of society and security. President Dmitry Medvedev nominated Ramzan Kadyrov to head the republic for a second term on February 28. On Saturday, all 41 deputies unanimously voted for his candidacy at an extraordinary meeting. The republic’s current course is to ensure a better life for the people and unite all Russian peoples, Kadyrov said. This policy suits the people and they support it, he said. Chechnya is an integral part of Russia, and the Chechen people are defenders of the federation, Kadyrov told the parliament. 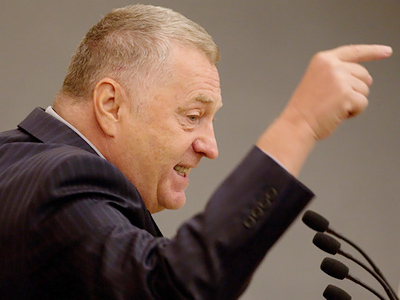 “It was so and it will remain so in the future,” Itar-Tass quoted him as saying. 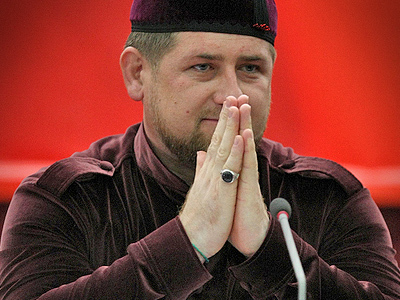 Kadyrov, 34, has been the head of the republic since 2007. He stressed that he would serve the Chechen people “in any capacity” if he were offered a third term and if he were able to be productive. Ensuring security remains the most important task for any leader of a North Caucasus republic, and Kadyrov is no exception. Meeting with heads of the republic’s law enforcement agencies on Thursday, he said militants had plotted a series of terrorist attacks in Chechnya. The plans of “shaitans”, or devils had been foiled, he added. The special services carried out a number of successful operations lately to neutralize the bandits, Kadyrov said. In his words, militants are still “roaming the woods,” and trying to recruit young people even through their websites and on internet chats. He ordered to step up efforts to analyze publications posted on extremist websites and counter their propaganda. 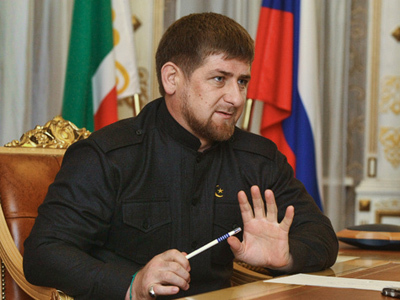 The only thing militants understand is the language of force, Kadyrov said. “We must counter them with armed force and the force of law,” he noted. But those who were deceitfully dragged into the militants’ ranks and have not committed any crimes should have an opportunity to return to peaceful life, the Chechen leader said. The first representative of the Russian government who had an opportunity to congratulate Kadyrov on his second term was Interior Minister Rashid Nurgaliev, who arrived in the Chechen capital, Grozny, on a working visit on Saturday. 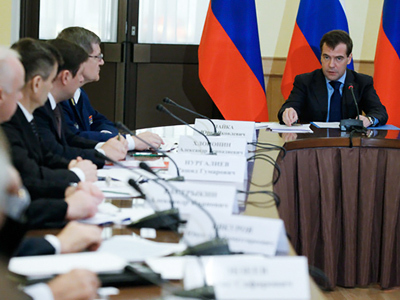 He held talks with the heads of law enforcement agencies devoted to the current state of security and set out the tasks for the spring and summer period. Kadyrov, a Hero of Russia, holds the rank of Major-General of Police for his efforts in combating militants.